We believe that personal training is the best way to reach your fitness goals. All training and nutrition programmes that we design are tailored to each client’s individual goals and desired results, and we limit the number of members to make sure that the studio never gets too crowded. As a member of Capital Fitness, you will have access to our highly qualified trainers and customer service team, all supporting you throughout your fitness journey. Our personal trainers are at the peak of their profession and have been hand-picked from the UK and the US to offer a truly premium service. Prices start at AED 1000 per month for studio access, initial consultation and introductory personal training sessions. Try us and experience the difference! 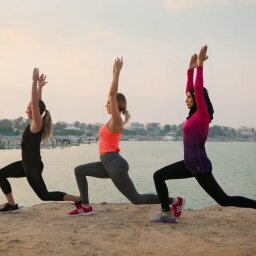 For a complimentary PT session and consultation, call/WhatsApp us on +971 50 862 5800 or come by for a visit at Marina Village Studio B32 in Abu Dhabi. 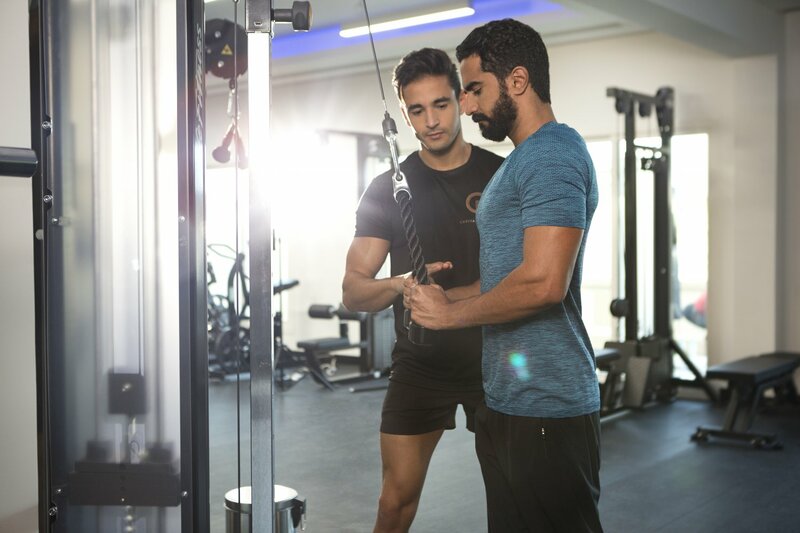 Experience a truly bespoke training and nutrition programme, tailored to your individual fitness and lifestyle goals by a world-class personal trainer. Enjoy unlimited access to our luxurious studios on the Abu Dhabi waterfront, as well as the exclusive Capital Fitness app. Sounds interesting, let me try a session! All the benefits of the PT+ membership, plus the ultimate VIP experience of full privacy in your own training studio. Work out to your favourite music playing on our high-fidelity Sonos audio system. The VIP membership also offers you a private dressing room with bath, hair and body products from Molton Brown, cold towels and much more. Need an expert trainer to come to you? Capital Fitness now offers VIP members exclusive home visits in selected areas. Train together with a friend, partner or colleague. Enjoy the same premium services as offered in PT+, but at almost half the fee per person. Buddy memberships are offered both for PT+ and VIP. Sounds interesting, let us try a session! We believe that personal training is the best way to achieve long-lasting results in a safe and sustainable manner. We have put together a 30-day starter package for our clients to make it very easy to start the fitness journey. You can learn more about the Starter on the home page. Everyone needs personalised exercise and nutrition guidance that fits around a busy lifestyle. At Capital Fitness, we offer a range of training options and flexible scheduling, suited to both first-time exercisers and highly experienced sportspeople. Visit us or contact us online for a consultation where we will offer you advice based on your goals and ambitions. PT sessions included in the fee 24 sessions every three months to use freely. Top up with new sessions at your convenience. 24 sessions every three months to use freely. Ready for a premium fitness experience? With Individual one-on-one personal training, you’ll create a unique dynamic with your trainer that focuses on one thing – your results. We’ll customise programme duration, session frequency, and session times to your needs. Contact us for a free personal training session and to learn more about how Capital Fitness can help you! I have had amazing success with the Capital Fitness VIP program, and couldn’t recommend it more! Phil has helped me refine my approach to workouts, nutrition, and overall motivation. The result has been muscle gain, weight loss, and a significant tightening of my whole body, to the point that I think it’s the best it has ever been. I can’t recommend Capital Fitness more. Phil has been my personal trainer for a year and a half now. The results I have achieved to date are largely due to Phil’s perfect combination of diverse training methods, personalized exercise programs & challenging yet achievable goal setting. His professionalism, extensive knowledge and enthusiastic commitment to his work and ultimately his clients, provides the perfect scenario for success and sets foundations for a new healthier lifestyle!